Wildwoodz is owned and operated by Dave Elliott – paintball player of over 30 years experience at the highest levels of the game. Before creating Wildwoodz, Dave owned and ran Manchester’s largest paintball venue, and worked at one of the worlds largest paintball companies – Planet Eclipse. As a professional player Dave was part of the European Championship winning team ‘Banzai’ and regularly wrote for Paintball Games International magazine. He has appeared on both Channel 4’s ‘Crossfire’ and Bravo TV’s ‘Mission Paintball’. 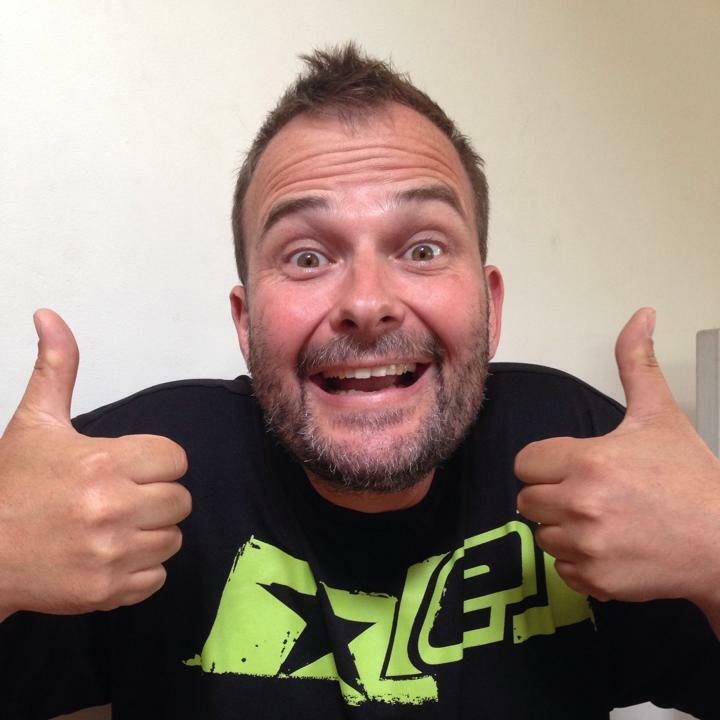 You might speak to Dave when you ring Wildwoodz and you’ll see him down at the venue on occassion running events still but these days he’s more office based thinking up new and exciting stuff to keep the company moving forward and expanding. 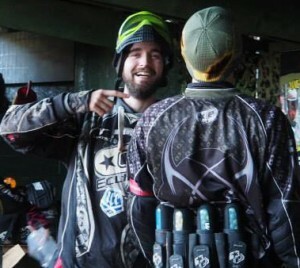 Dave was a Paintball World Champion as recently as 2010 and Wildwoodz is based on his vision. In June 2005 Dave and his wife opened Wildwoodz Paintball Park in a truly stunning location on the Black Isle and took the best of his experiences travelling the paintball world to build what we believe is now the premier paintball and activity centre in the highlands. A first class venue with first class facilities, run by a company committed to making your day with us an unforgettable experience. The other person you’ll speak to on the phone is Charlotte Stewart – Dave’s wife. As well as bringing up their two kids and running a household, Charlie answers the telephone, processes bookings, does the invoicing and accounts and generally deals with all the grown up computer stuff that Dave doesn’t like to do because he pretends he’s frightened of technology. By her photo Charlie would like to have you think that she spends her leisure time training hard for events like Tough Mudder and the Beast Race and we’re not going to say anything to make you believe otherwise. If you have a problem and no-one else can help, and if you can find her. You’d better speak to Charlie. Wildwoodz is the only highland paintball venue to gain UK Paintball Federation “Accredited Venue” status. Wildwoodz was the first highland activity centre to gain Visit Scotland “Five Star” status and is still the only Five Star paintball centre. Wildwoodz was first highland paintball venue to operate solely on “Environment Friendly” compressed air. Wildwoodz has the largest highland covered Archery range. Wildwoodz was host to Scotland’s first ever national tournament paintball league AND double championship team Inverness Ice. Wildwoodz has the highest Facebook customer rating of any paintball venue we can find GLOBALLY! Please tell us if you find higher. As you can see – Wildwoodz is an industry leader and our passion for the activities we provide means we stay at the top of our game. Because the staff play paintball to a high level we understand the game better than other venues – leaving you safe to enjoy what we do! Talking of staff – our success wouldn’t have been possible without some of the great characters and personalities that bleed Wildwoodz blood. Alex Sanderson came to Wildwoodz for his 16th birthday 10 years ago and fell in love with the game. He’s been Wildwoodz venue manager for 4 years now but he’s hardly left in the last decade working his way through the ranks to be our senior event manager and instructor. Along that journey Alex has been part of double scottish champions – Inverness Ice and even though he hardly ever gets to play paintball anymore he’s one of the best players in Scotland. 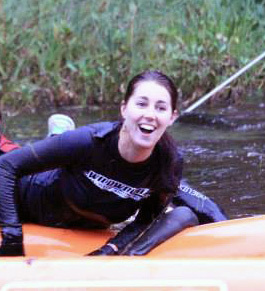 The chances are that Alex will have overall responsibility for your activity session whatever you choose. Alex is a qualified GB Archery Instructor and is really looking forward to his Axe Throwing training. So there we are. We started in 2005 as a small local paintball centre on the Black Isle and have become one of the Highland’s true treasures. Over the years we’ve added Lasertag, Archery and now Axe Throwing, Bushcraft and Laser Clays to the popular activities we offer and whilst we’ll always be a paintball venue at heart we’re particularly excited to bring new adrenalin packed choices to our customers.